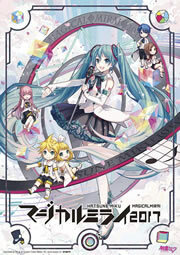 If you couldn’t make the trip to Tokyo to see the “Hatsune Miku Links Tokyo150” water stage performance in late October, the official Tokyo government YouTube channel has uploaded the recording of the full performance to their YouTube channel! 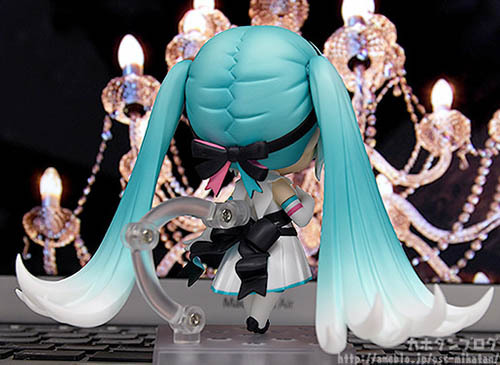 From the surprise reveal last week comes a closer look at the Nendoroid Hatsune Miku: Symphony 2018-2019 ver. 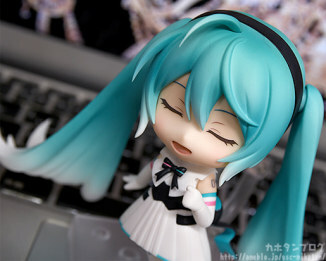 by Kahotan from Good Smile Company! 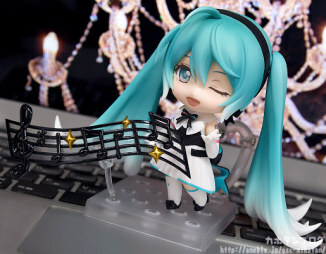 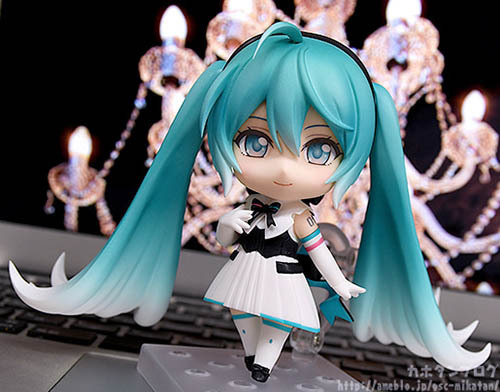 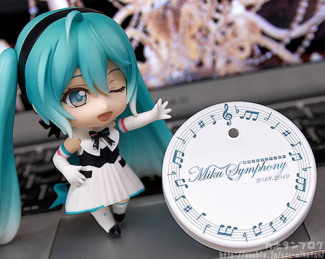 The nendoroid is based on the main visual of the upcoming Hatsune Miku’s orchestra concert “Miku Symphony” by the illustrator Rella planned for November 2018 and January 2019. 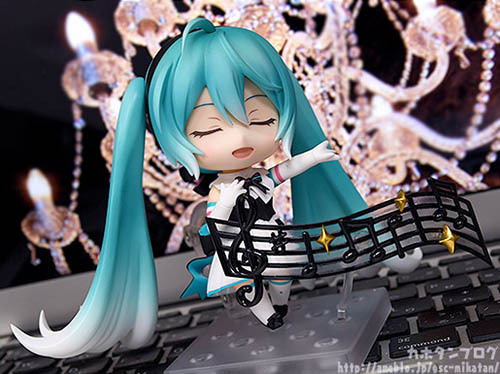 She comes with three face plates reflecting her smiling, winking, and singing expressions complemented with the included melody part accessory. Also included is the joined hand parts to recreate Rella’s main visual illustration. 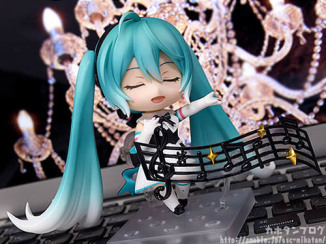 Preorders will open on GOODSMILE ONLINE SHOP from November 22nd with a special round stand as a purchase bonus. Don’t forget to check out the full gallery on Kahotan’s blog!